Dance your RIS*: The electron storage ring BESSY II at the Helmholtz-Zentrum Berlin produces synchrotron radiation, that scientists use to answer all kinds of scientific questions. Now BESSY gets an update and will turn into BESSY VSR. A very nicely done video explains what will change. For this, the researchers at BESSY had to use all their acting skills! 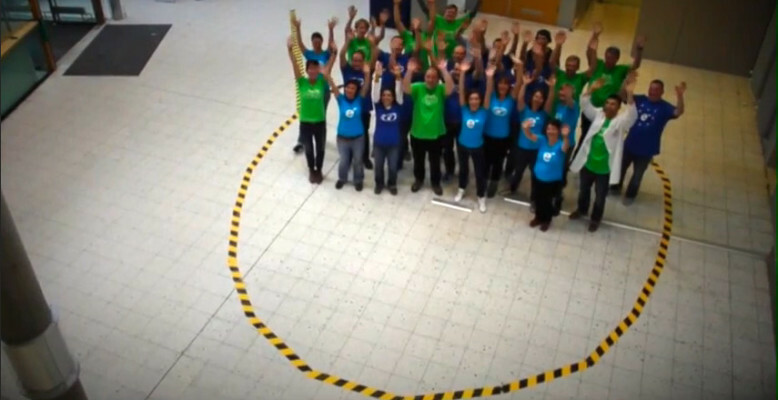 In a second, also splendid acted video, the team at the Helmholtz-Zentrum Berlin demonstrates the technical problems to be avoided during operation of the electron storage ring.